Measuring Instrument, Machine Tools, Accessories and lots more. 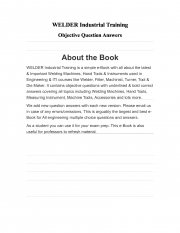 Book for All engineering multiple choice questions and answers. useful for professors to refresh material.